Iyengar Yoga classes and workshops at our fully equipped Studio in Penarth, with yoga classes also in Cardiff. Now with a range of classes each week for you to chose from covering all levels of experience, from Beginner to the more experienced yoga practitioner. General Level Workshops For regular pupils of YogaOne to have the opportunity to work more deeply with a 2.5hr yoga class. The longer session allows for a more progressive yoga practise with a different focus each month. See schedule above for more information on dates and times. For the total novice and also for those wishing to revisit the basic techniques of Iyengar Yoga that create the foundation of a yoga practise. All levels Welcome. See schedule above for more information on dates and times. For those wishing to immerse themselves in the practise, to imbibe the essence of yoga for an entire day. 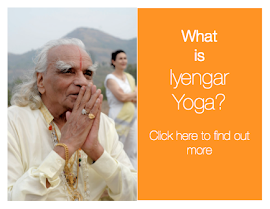 Suitable for current pupils of Iyengar yoga or those currently attending classes with YogaOne. General Level, not for total beginners. Email for more information. A Yoga Retreat is time away from the trappings that we all face in modern life, it allows you the time and space to imbibe the essence of yoga. Working intensively brings about change, deepens your development of yoga and cultivates conscious awareness. Please email yoga@yogaone.info for enquiries and booking information for upcoming Yoga workshops in Penarth and Yoga Retreats. To secure your place on a workshop payment is required in advance. A deposit is required to confirm your place on a retreat and full payment six weeks prior. For regular weekly classes please see the Timetable.